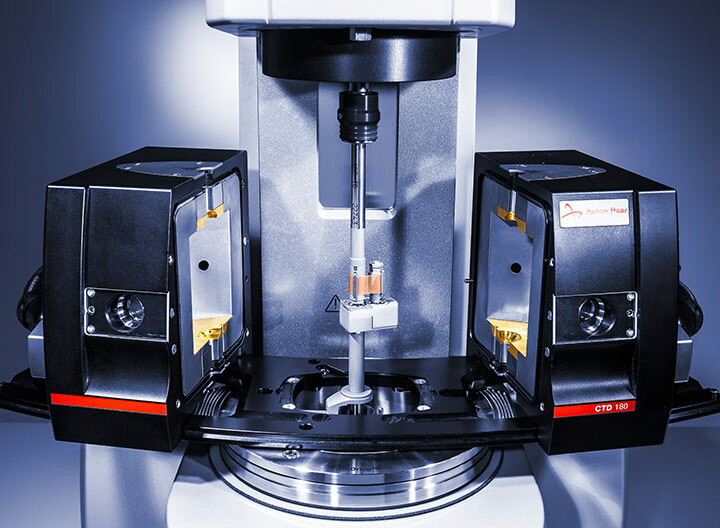 The Universal Extensional Fixture (UXF) and the Sentmanat Extension Rheometer (SER), developed by Dr. Martin Sentmanat, turn the MCR rheometers into platforms for extensional rheology investigations. The systems allow extensional measurements on filled and unfilled polymers, melts, adhesives, and food systems over a large temperature and deformation range. Extensional measurements provide information about molecular structure, branching, temperature stability, shrinkage, relaxations, and brittleness as well as the adhesion and peel strength of films and fibers. The Universal Extensional Fixture (UXF) is a combined measuring system with one rotatable drum connected to the EC drive via the shaft and a second stationary drum mounted to a fixed lower shaft. 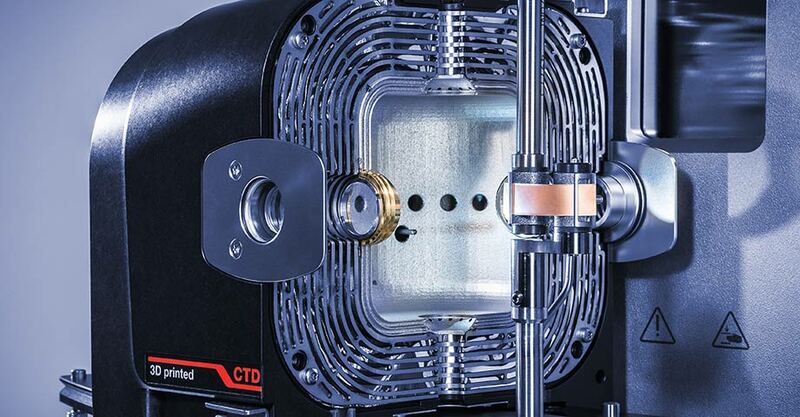 Special fixtures and various drum designs ensure excellent grip between the specimen and the drums when performing strain- or stress-controlled extensional tests. 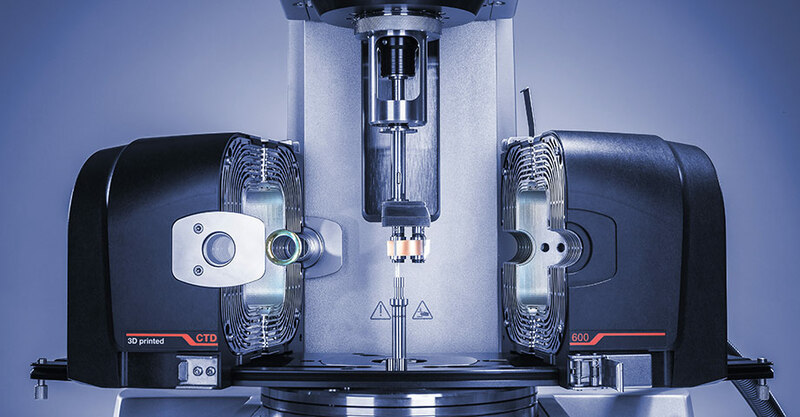 Additionally, in combination with a convection temperature device, the UXF enables tensile strain- or stress-controlled DMA tests across a wide temperature range. Optionally, the UXF can be used for measurements in immersion. The Universal Extensional Fixture for a configuration with two EC drives (UXF/TD, US Patent 9,766,172) consists of two drums driven by the two drives in counter-rotation mode. The first drum in the center is directly connected via the shaft to the upper drive while the lower drive rotates a second eccentrically mounted drum over an intermeshing gear system. The stress is measured by the center drum with the highest possible accuracy due to the direct coupling to the air-bearing mounted EC drive. 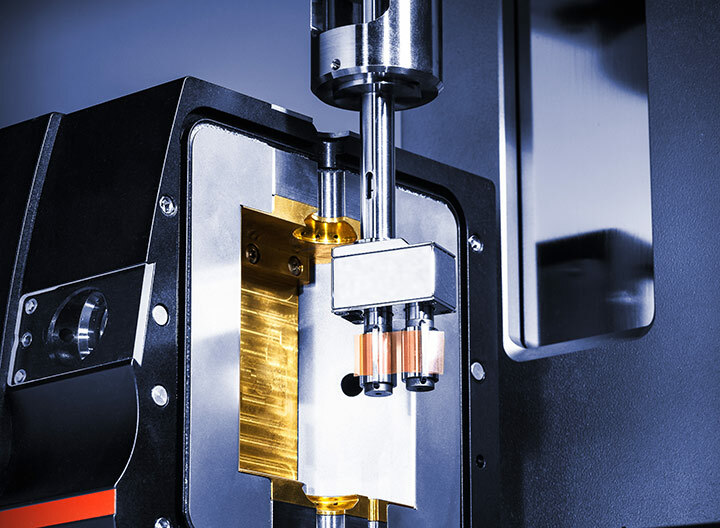 This enables extensional rheological measurements with unprecedented torque and strain resolution for low-viscosity films and fibers and new test procedures, such as stress relaxation tests. 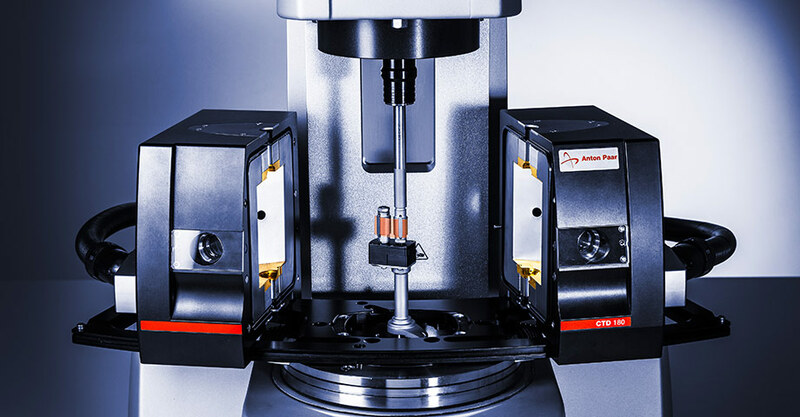 The Sentmanat Extension Rheometer (SER 3) extensional rheology system, developed by Dr. Martin Sentmanat, consists of two counter-rotating drums with intermeshing gears and low-friction bearings. 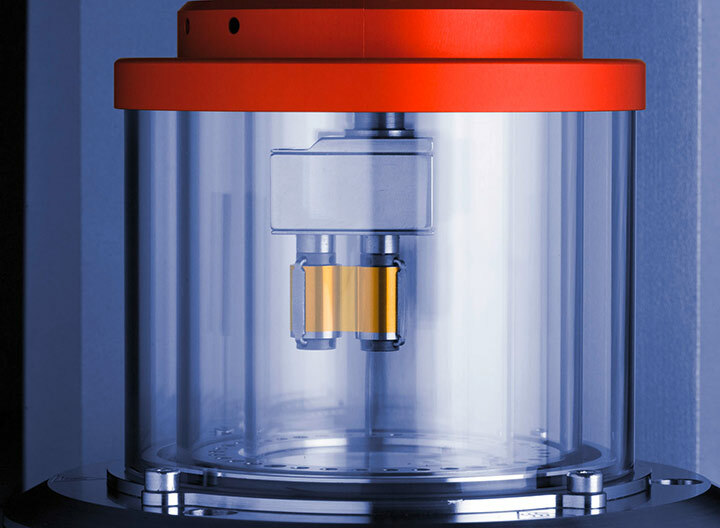 The rotational movement of the rheometer is directly transferred to both drums, which stretch the sample uniformly over the entire stretching area to ensure reliable results. Due to its design SER 3 is perfectly suitable for extensional tests at high torques. Various drum surfaces guarantee measurements without slippage. Furthermore, the system can be immersed to prevent sagging.